If you've decided you want to finance your new Harley-Davidson®, you're not alone. Seventy percent of enthusiasts do. With a minimum down payment and approved credit, you can arrange Credit financing with us and get out on the road a few hours after picking out your Street™, Sportster®, Dyna®, Softail® or V-Rod®. And because we finance more Harley-Davidson® than anyone else, we understand your special needs. Only someone who knows how you feel when you hit the starter button understands that hitting the road ASAP is your biggest concern. That's why we make it easy. You have plans to carve, cane, cruise, or tour. 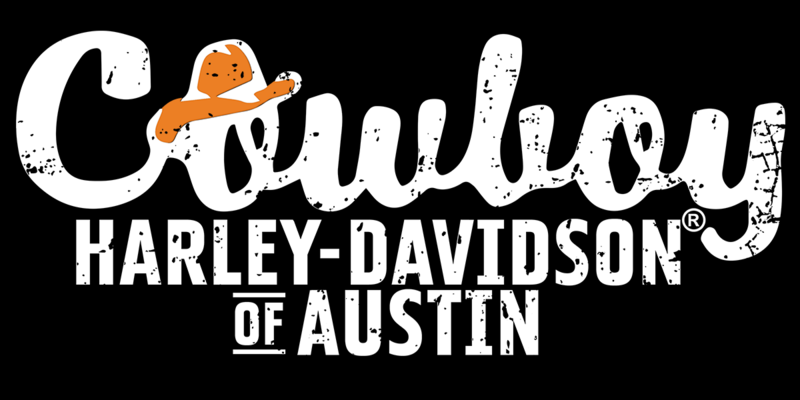 The Cowboy Harley-Davidson® of Austin finance team will help you get the new Harley® or used motorcycle that will make it happen via a money-smart, tenacious spirit that won't relent until you have loan or lease terms as comfortable as our cushiest touring saddle. Our job, after all, isn't just to sell Harley-Davidson® motorcycles, it's to bring you a priceless sense of freedom... and that means zero worry. Beyond Harley® loans and Harley® leases, this includes Harley-Davidson® motorcycle insurance available to riders in Austin, Round Rock, New Braunfels and Cedar Park. To set up an appointment with our Harley® finance specialists or to learn more about available Harley-Davidson® insurance options, call Cowboy Harley-Davidson® of Austin today, at (512) 448-4294. Or, simply contact us here. Talk to Cowboy Harley-Davidson® about financing your Street™, Sportster®, Dyna®, Softail® or V-Rod® with Credit, and get out on the road today.